STATELINE, NV – Governor Edmund G. Brown Jr. used the occasion of the annual Tahoe Summit to launch a new website, Climate Change: Just The Facts, that documents the dangerous effects of global warming and calls on those who still deny its existence to “wake up and honestly face the facts.” “Global warming’s impact on Lake Tahoe is well documented. It is just one example of how, after decades of pumping greenhouse gases into the atmosphere, humanity is getting dangerously close to the point of no return,” said Governor Brown. “Those who still deny global warming’s existence should wake up and honestly face the facts.”…. The impacts of climate change are clear and global. • America is seeing dramatic increases in food prices as a direct result of the worst drought in a half century. According to the National Center for Atmospheric Research, the percentage of the Earth’s surface suffering drought has more than doubled since the 1970s. • Last year, Arctic sea ice was at the lowest level ever recorded. Satellite images show that Arctic summer sea ice has decreased nearly nine percent per decade since 1979. • Last week a study published in the Proceedings of the National Academy of Sciences showed that events like the Russian heat wave of 2010 and the European heat wave of 2003 would likely not have happened without global warming caused by greenhouse gases. • In 2010, scientists at NASA’s Jet Propulsion Laboratory confirmed that over the last 25 years, the world’s largest lakes, including Lake Tahoe, have been steadily warming, some by as much as four degrees Fahrenheit. This is seven times faster than air temperatures have risen over the same period in some cases. • That same year, researchers at UC Davis studied the impacts of climate change on the Lake Tahoe basin and concluded that there will be a continuing shift from snowfall to rain, earlier snowmelt and more runoff; an increase in drought severity, especially toward the end of the century; and a dramatic increase in flood magnitude in the middle third of the century. • In 2008, a UC Davis study predicted that climate change will irreversibly alter water circulation in Lake Tahoe, radically changing the conditions for plants and fish in the lake. • In 2005, researchers found that Lake Tahoe is warming at almost twice the rate of the world’s oceans because of global climate change. Despite overwhelming evidence to the contrary there are still recalcitrant skeptics who ignore the findings of climate scientists and assert that global warming is not a problem. • How rising global temperatures have far-reaching consequences for Californians, including sea level rise, more frequent and hotter heat waves, a declining water supply and large, intense wildfires. • How every major scientific organization in the United States with relevant expertise has confirmed the Intergovernmental Panel on Climate Change’s finding that there is a 90 percent probability human activities are causing global warming. • California’s groundbreaking efforts to reduce greenhouse gas emissions and prepare for the unavoidable effects of global warming which are now irreversible. 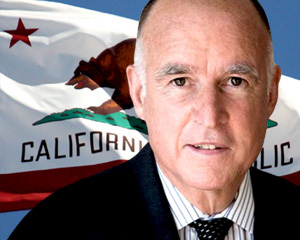 Governor Brown has pressed for increasing investment in renewable energy, efficiency and reduced dependency on fossil fuels. Last year, he signed legislation to increase California’s use of renewable energy to 33 percent by 2020. A link to the website can be found here: http://www.opr.ca.gov/climatechangefacts.